In the mood for a little Competition? How about keeping track of all of your statistics? High Definition Golf™ Tournament Play with Players Locker allows golfers to compete and store statistics at home or at their favorite indoor golf center or, for that matter, anywhere that has High Definition Golf™ simulators. Virtual simulator tournaments run just like the real thing and the best part is players get to customize every aspect of the tournament on the golf simulator. All player stats and information are stored in the cloud based HD Golf™ Locker Room. Players can access their Locker Room on any mobile device, anywhere, anytime. The Player Locker Room stores detailed Shot Data, Statistics, Video Swing Analysis Videos, Lessons, Club Fitting information as well as all historical Tournament and League play. The Locker Room Communication Portal connects golfers with instructors, your club and each other. 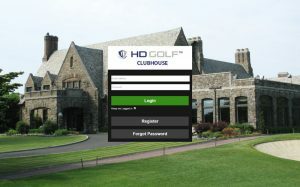 The Locker Room & Communication Portal are seamlessly integrated with our cloud-based, mobile-friendly HD Clubhouse Management Software. 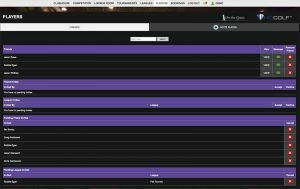 Quickly and easily manage simulator reservations, clinics, leagues, tournaments and advertising. “Open” tournaments are open to the public. Anyone with access to an HD Golf™ Simulator can join. 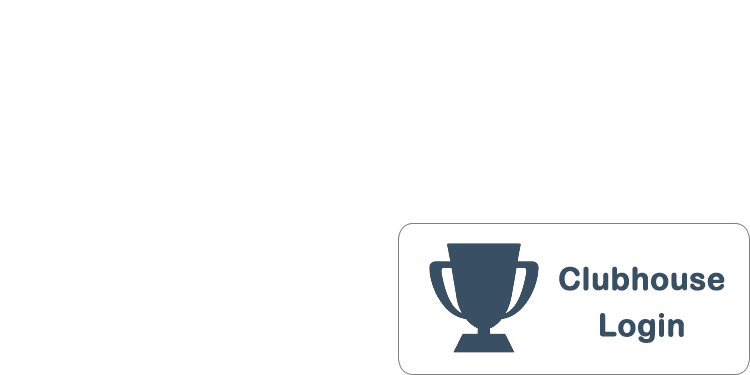 “Invitational” are private ‘by invitation only’ tournaments. They work well for Golf Centers, Sports bars, clubs and teams.